Jonah’s one of our most iconic pieces. So, it makes sense to take the style outdoors. 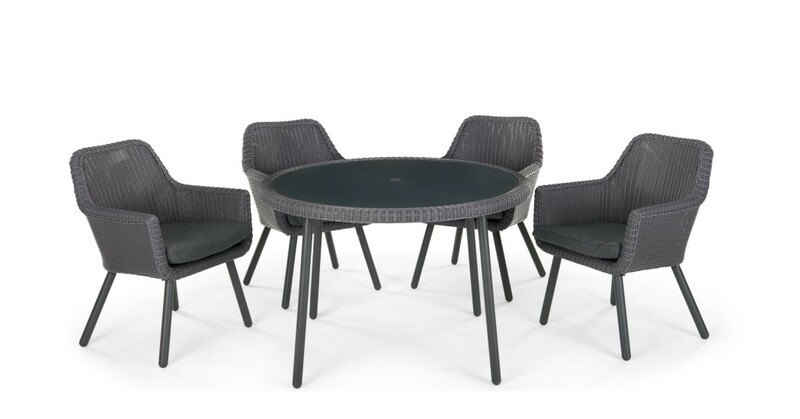 It’s now available as a weatherproof, rattan outdoor dining set. Perfect for patios and conservatories. Read a book outside during the day and relax in the sunshine, or entertain guests comfortably and stylishly. Jonah’s designed to endure the weather - just take the cushions inside during heavy rain. Our customers love this piece for its contemporary style and retro vibe. James designed the piece with an integrated back and slim, angled legs make for a clean, minimal finish.